Another theory suggests the word ‘spa’ to be an abbreviation of the Latin phrase ‘Salus Per Aquae’ which translates to ‘health through water’ in English. Belgium has a small town called ‘Spa’ which was once known for its medicinal baths. Even in England, you would find towns popular for their springs and medicinal baths, one of them is actually known as the town of ‘Bath’. Hippocrates is believed to be one of the first propagators of medicinal baths and to have put much emphasis on the role of perspiration, body massages and baths to cleanse and rejuvenate body – and to get body’s chemical composition in balance. “As a dermatologist I am strictly against chemical-based hair spa therapies. It is always better to use natural ingredients for your hair and skin. You can always do a hair spa on your own over a weekend or ask someone to do it for you with ingredients that are readily available in your kitchen pantry. 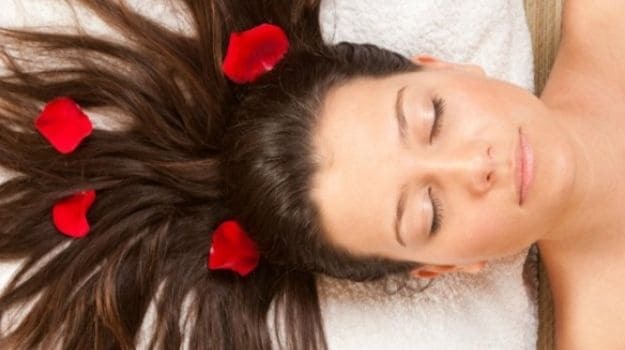 However, if you don’t have the time or patience for it, look out for salons that offer natural hair spa treatments which are absolutely chemical free,” shared a leading Beauty Expert and Dermatologist, Dr. Deepali Bhardwaj. 3. Message your hair and scalp with a hair/scalp nourishing mix – beer/vodka +white vinegar + curd for oily scalp, curd + banana for dry scalp, and curd + papaya for combination scalp. 6. Take a hot towel and wrap around your head – this will facilitate opening of the pores and absorption of various nutrients. – Never leave oil hair in your hair or go for a drying-spa treatment if you have dandruff. 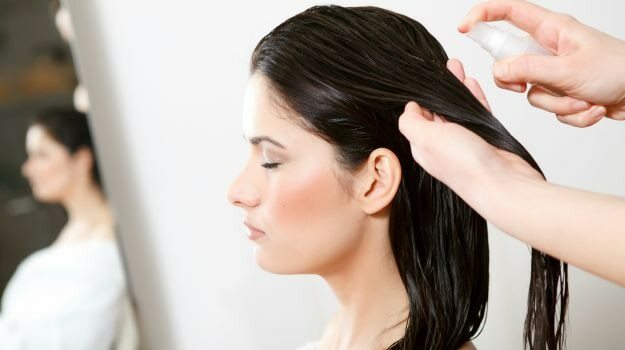 – Make a mix of lemon juice + white vinegar to put on the scalp to get rid of dandruff. Wash after 10 minutes and follow this method for three consecutive days. – Avoid blow drying or chemical treatments (rebonding, perming, curling, pressing, et cetera) as much as possible. – Chemically treated hair should not be given spa treatment at all. It may lead to hair fall and alopecia. – Go for natural hair spas or DIY spa at home at least once a month. – Lemon doesn’t bleach you hair it only makes it stronger, fights dandruff and excess oil; and maintains the pH level of your scalp. – Rinsing hair with beer will give it a sparkling shine and a sensational bounce. – You can include any ingredient in your hair care regime – from avocados, milk, curd, reetha, shikakai, olive oil, castor oil, lemon, eggs, beer, white vinegar, fruits, et cetera – depending on your hair type and scalp condition. – Also, never leave your hair wet for long and avoid application of hot oil. Never comb when you hair is wet (or use a wide-toothed comb) and never put conditioner on the roots.